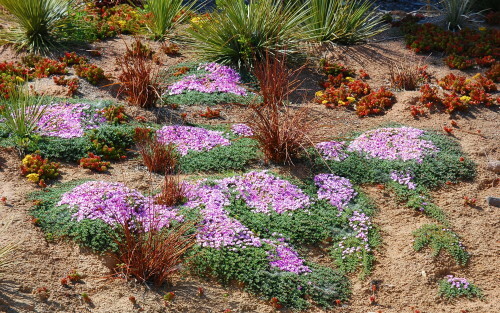 Ruschia lineolata is an excellent groundcover plant and is tough enough to be suitable as a lawn substitute. We have excluded this box of cuttings from our minimum plant order of four so that you can purchase just one box by itself if you like. 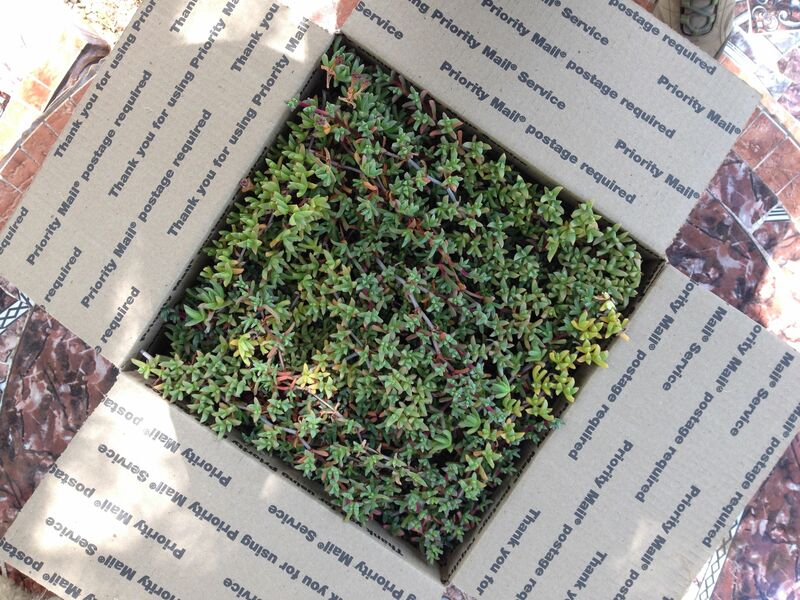 Box of 100, 5-inch cuttings. Covers 75 square feet. Ruschia lineolata is very easy to propagate by taking cuttings and replanting them. For best results place healthy cuttings in sand or cactus mix and water daily. Keep cuttings in a sheltered but bright position and plant out once well rooted – this should be within a month at most. This is a very dense, low growing ice plant. It has small green linear succulent leaves. 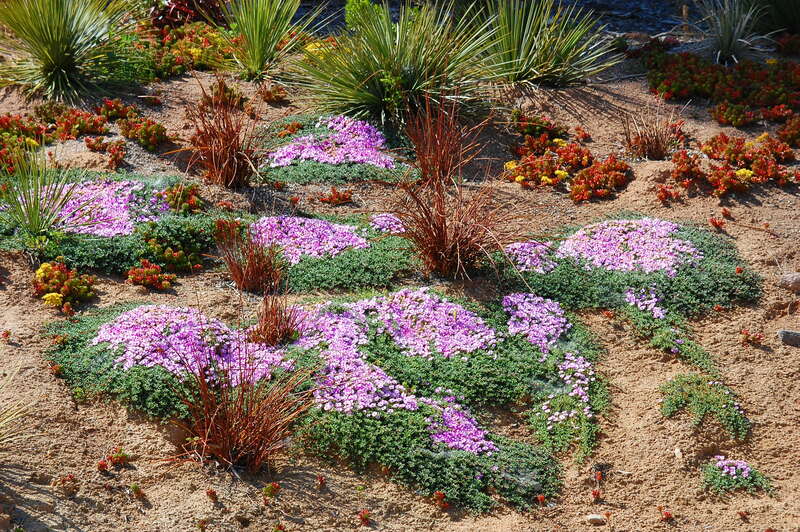 It can take foot and even vehicle traffic without much damage and makes a good turf substitute in hot dry climates. It can also be used on slopes as well. It is not fussy about soil type but does need good drainage. In spring it is covered in very lovely one-inch flowers with magenta striped white petals which give the plant its species designation. These flowers are attractive to pollinating insects. Best flowering occurs in full sun.